The National Heritage Library in Belmopan is one of several public libraries in the country, but it also hosts the National Collection as well as the private collection of Belizean historian Assad Shoman – books he donated before his departure for overseas study. Amandala got a chance to see the collection, to which several Belizeans are adding publications which you may not think could be found at the library. “Now people traditionally associate books, journals, magazines with the library, but they don’t consider that we collect funeral booklets, that we collect AGM [reports]… that we collect things, even booklets and bookmarks and a lot of other non-traditional formats. So what we have been looking to do is to publicize the legal deposit legislation to businesses, to ministries, even to the local person to know, ‘Hey! If you have been taking a lot of pictures over time, and you want us to digitize it to donate it to the library, we will gladly accept it. We now have some equipment to convert VHS cassettes, and audio cassettes and even LP to digital formats, so we would be collecting those also from people and either to save the original or just to convert it and we also keep the content. 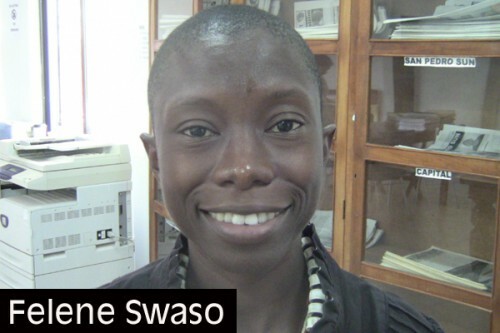 So that is also something that is done right here at the National Heritage Library,” Swaso said. Swaso said that the library recently received a large donation of gray literature, such as business reports, yearbooks, church hymnals, handbooks, charts and guides, which she said people don’t normally see as things which the library has an interest in keeping. “As long as it’s published in Belize, we would like to get a copy of it,” Swaso said. We found out that the law requires that much more than books are to be deposited at the library, as long as it is produced for public distribution. Of course, the Library is not looking to take anyone to court; it is hoping that its sensitization efforts will inspire people within the community to donate freely towards building Belize’s national information repository. For more information, please contact Mrs. Swaso at 822-0397 or [email protected] Donations to the National Heritage Library can be made through any branch library.